Cleaning sterling silver does not involve a difficult process. 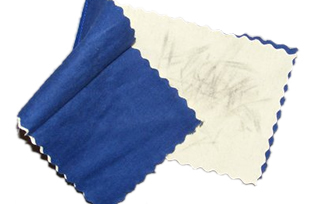 Usually a simple polishing cloth incorporating a compound which acts as a gentle abrasive to remove tarnish will work just fine and be available from your local jewellery shop. A simple at home technique is to use toothpaste on a soft bristled toothbrush to scrub tarnish from small jewellery items or flatware. Toothpaste generally contains very mild abrasives which work in the same way to clean your teeth as it will to clean your sterling silver. Yes, believe it, toothpaste works and it is a cheap and easy way to clean your sterling silver. You can then simple wash the toothpaste off but be sure to dry your item thoroughly afterwards. 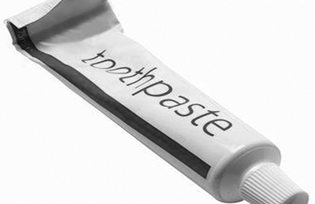 A white toothpaste works best however, do not use "Whitening" toothpaste as this may contain other elements such as peroxide that will damage your silver. Calcium carbonate is often used by museums to remove tarnish as it is soft enough not to scratch or damage pieces in any way. Jewellery plated in rhodium such as our sterling silver Frangipani pendant will however NOT tarnish as the sterling is protected from the environment by a very thin layer of rhodium. This process will not detract from the lustre of the silver as the rhodium is very much the same colour as sterling and a much more expensive metal that does not tarnish. View our beautiful collection of tarnish resistant sterling silver jewellery.